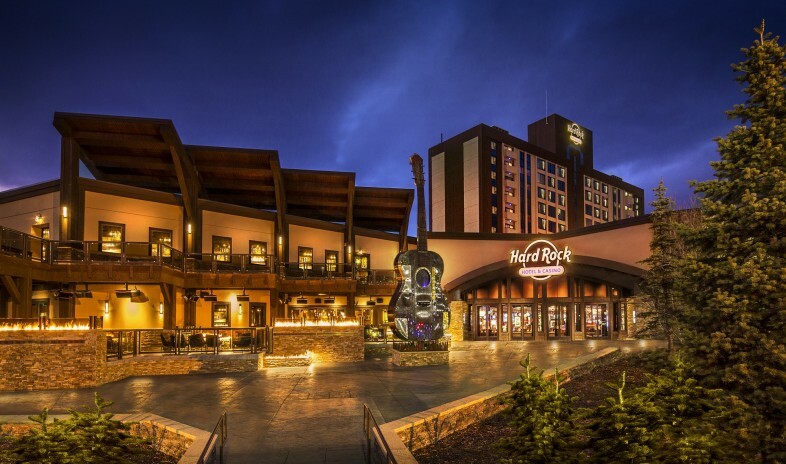 January 28, 2015, marked the debut of the 539-room Hard Rock Hotel & Casino–Lake Tahoe in Stateline, Nevada. Fresh from a $60-million transformation of the former Horizon Casino Resort, the rock-'n'-roll–themed hotel welcomes groups on the spot where Elvis Presley performed from 1971 to 1976. The showroom, when not in use for scheduled concerts, adds to more than 14,300 square feet of space for meetings and events. Tahoe's newest hotel boasts Tahoe's newest restaurant and bar scene: an upscale steakhouse, casual dining outlet, coffee shop, raw seafood bar, and two lively lounges. In addition to games in the sprawling casino and swimming and partying at the largest outdoor pool experience on the South Shore, guests can go for skiing, water sports, golf, hiking, and biking in the surrounding High Sierra wonderland.